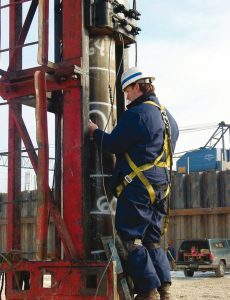 Case Study: American Engineering Testing, Inc. - AMI Imaging Systems, Inc.
American Engineering Testing Inc., (AET) is an employee owned multi-disciplinary consulting engineering firm offering geotechnical, environmental, construction materials, and forensic testing services to public and private sector clients. Headquartered in St. Paul, Minnesota, the firm has eleven branch offices and employs a staff of 255 full-time employees, increasing to approximately 350 with the addition of seasonal employees. The company’s most important accounting documents are Accounts Payable (A/P) invoices, Accounts Receivable (A/R) invoices and timesheets. AET’s accounting department worked with a paper-based approval system. When A/P invoices were received they were blank stamped and sent for approval to the person who ordered the materials. The “approver“ would fill in the blank stamp with the P.O. number, general ledger code, job number and amount and forward it to the A/P clerk for further processing and payment. After entry into the accounting system, the clerk would stamp “Entered“. Then when paid, it would be stamped “Paid“ and then put in a bin for filing. The filing of the invoice could have taken up to two months. On average the approval process took about five days, but if anyone held onto an invoice, the process could take months, possibly resulting in a collection call from an unpaid vendor. The accounting department did not have a tracking method for monitoring invoices during the approval process. If a branch office needed to reference an invoice, they would have to call and request a copy. The company wanted to automate their accounting processes and reduce the need to physically handle and store paper, as well as eliminate lost invoices and improve their cash discount options. They wanted an electronic document management system with a low total cost of ownership and integrated workflow capabilities. Marsha Hadd, Accounting Supervisor for AET, was looking for an electronic approval and document imaging system for Accounts Payable. Bob Schlick, IT Specialist, realized the company was not fully utilizing DocuWare, their existing powerful electronic document management software and that it might have the capabilities Hadd was looking for. DocuWare had been purchased by a previous accounting supervisor but was only being used to store time sheets and project files. AMI Imaging Systems, Inc., an Authorized DocuWare Partner, worked with a committee consisting of Hadd, Schlick, Kayleen Kincaid (Accounts Receivable Clerk), Chris Gartner (Environmental Administrative Assistant) and Michelle Heutmaker (Accounts Payable Clerk) to expand the scanning system and automate the approval workflow process. With the initial guidance from AMI and the ease-of-use of DocuWare, Schlick was able to implement the electronic approval system on time and under budget. Now, incoming invoices are scanned and electronically routed through the company’s approval system using the DocuWare CONTENT-FOLDER module. Invoices awaiting approval will appear in the appropriate employee’s electronic CONTENT-FOLDER located on their desktop. The employee simply opens the folder, chooses the appropriate electronic stamp and fills in the P.O. number, job number, amounts and general ledger codes, which updates the “status“ index field and automatically routes the invoice to a manager’s CONTENT-FOLDER or back to the A/P clerk’s CONTENT-FOLDER, based on a predetermined approval path. The A/P clerk can monitor all invoices and at a glance knows if an invoice is open, pending approval, approved, rejected or has been paid. DocuWare ensures document security by assigning access rights to each individual and maintains original document integrity. The next phase for the Accounts Payable electronic approval system is to have the data entered into DocuWare, by each approver, feed directly into the accounting software. The use of DocuWare is expanding. The Accounts Receivable department is now using the solution to automatically store a copy of each invoice, eliminating the need to print and file an additional copy. The department continually accesses billing invoices from the company’s inception; therefore they are working towards digitizing all A/R invoices back to 1971. Additionally, the process to index project files has been simplified through the use of barcodes. Instead of manually keying job information, indexing is done automatically using OCR technology to “read” the barcode and fill in the job number, which is used as a matchcode to extract information from the accounting software and fill in the remaining index fields. On an individual level, accessing information is fast and simple no matter which office an employee is working from. Document retrieval time has been reduced to just seconds, allowing employees to fully leverage valuable accounting and job information. Automating invoice approvals made the process quick, easy and painless for everyone and allows branch office employees to seamlessly use the same efficient system. With the development of an electronic invoice approval system, the A/P department has gained an efficient workflow process and monitoring system, which helps ensure that no invoices are lost or overlooked. My staff and I can now track an invoice throughout the entire approval process. With one glance I know which invoices have been pending approval for too long and my staff can easily e-mail a higher level manager for approval. DocuWare has improved each employee’s document accountability. I no longer receive collection calls for invoices that I was unaware had been lost in our paper-based approval system,“ said Hadd. The department has seen additional cost savings by avoiding late payment fees. Added revenue was realized by taking advantage of early payment discounts. Furthermore, the staff is easily able to answer vendor questions now that information can be retrieved by many different index fields. With these combined benefits, vendor relations have also improved. On a corporate level, DocuWare has bridged the gap between headquarters and branch offices by making information available electronically. This new efficiency has allowed the company to better manage its most important asset – its employees. Efficient document management practices allow the company to do more without adding staff, positioning the company for growth. Secure long-term electronic document storage allows the company to meet strict federal guidelines when storing test results and consulting information for state and federal Super Fund environmental clean up projects, reducing legal liability. The quick access to job files and financial information allows AET to provide its clients with better customer service, strengthening its business reputation and contributing to repeat business. My staff and I can now track an invoice throughout the entire approval process. With one glance I know which invoices have been pending approval for too long and my staff can easily e-mail a higher level manager for approval. DocuWare has improved each employee’s document accountability. I no longer receive collection calls for invoices that I was unaware had been lost in our paperbased approval system.” – Marsha Hadd, Accounting Supervisor, American Engineering Testing, Inc.